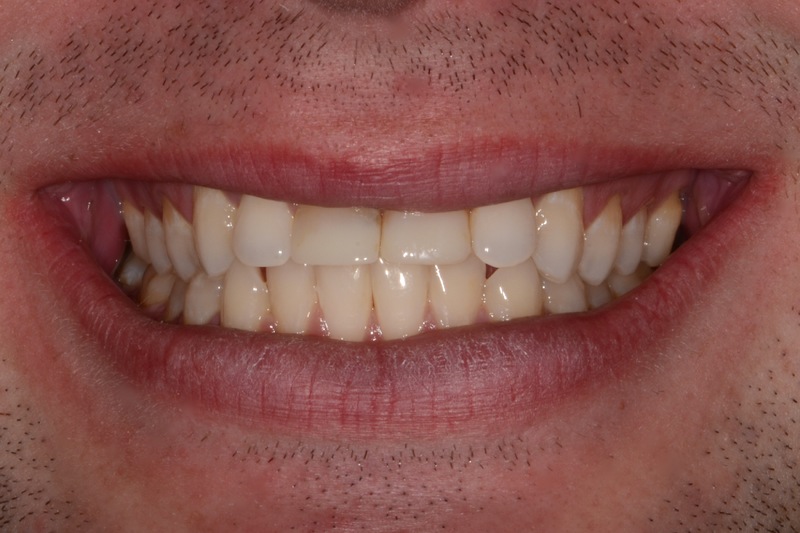 This patient chipped his two front teeth at a young age and at the time had composite bonding placed. Now 11 years later, patient has reached the appropriate age for full coverage crown placement. 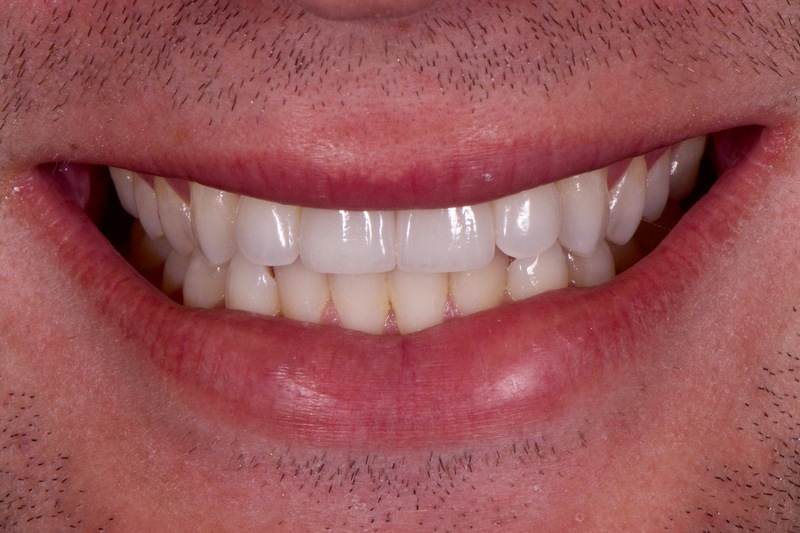 Prior to starting treatment we had patient whiten his teeth and we were able to obtain the perfect shade match. Now this patient can smile again with confidence!